One swipe and Godzilla will steal your hard-earned right before your eyes! Place a coin on the pad and Godzilla will pop up and take your coins. While the lid is closed, place a coin to the right of the ship. 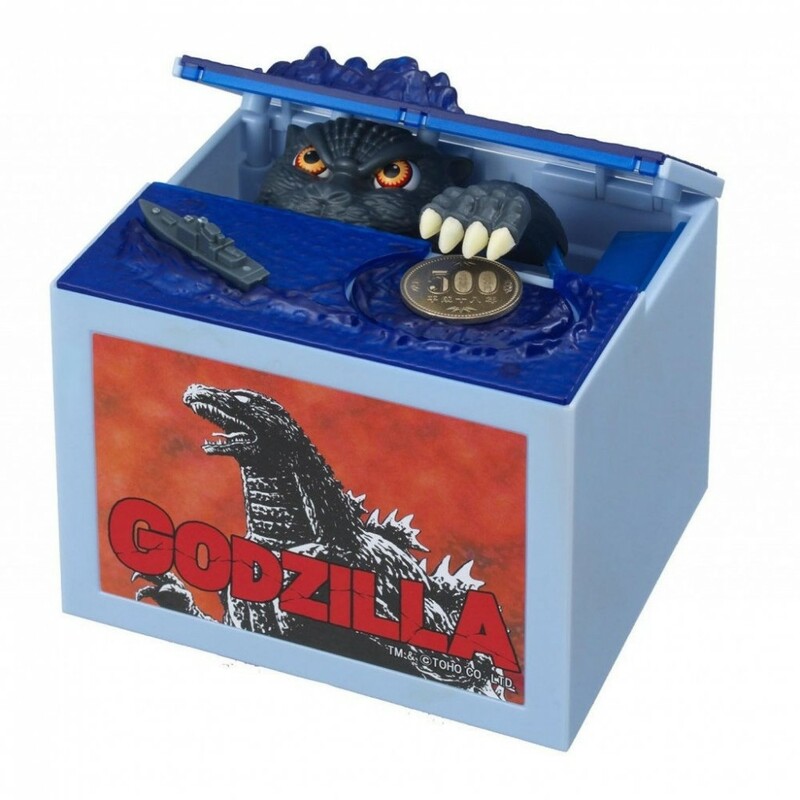 Watch as the lid opens and Godzilla pops out, then snatches the coin with his claw! Dimensions: 12cm (L) x 10cm (D) x 10cm (H).